Thank you for books 1 & 2- this realistic love story of Aly & Jared. Book 1 that depicted Aly’s “romantic ignorance” & innocence. I appreciated how the story outlined the evolution of her maturity. The revelation of their love for each other, unraveling between Jared & Aly brought me back to my sophomore year in high school, when I discovered my first love. The hints of flashbacks to the past intertwining with each phase of her recognition & acceptance of the love she has in her being, but most especially, for Jared (a tortured soul). I, wanted so badly, for them to continue their journey when the book ended. I was hooked & couldn’t wait to continue on to book 2. Book 2 (this book) definitely detailed Jared’s struggle, so much so that my heart broke for him. I lost my mother to Leukemia when I was in my mid-twenties. Although the circumstances which left us both without our important person occurred differently, the end result & how it tortured us is the same. I identify with his guilt, anger & despair. Just as he did, I busy myself with work & lock those feelings away until I am numb to her absence. At times, his constant battle with himself became physically exhausting (emotions running so high & wild). However, I felt a sense of relief & hope knowing he had Aly -filled with so much love, like his mother- continued to be his rock & see him through his fear & pain. (Sigh) I’m pretty sure I’ll be reading Aly & Jared’s story multiple times. Just wanted to send a heartfelt ‘Thank you’. In Love of this Book. Best book I've read in my life so far. 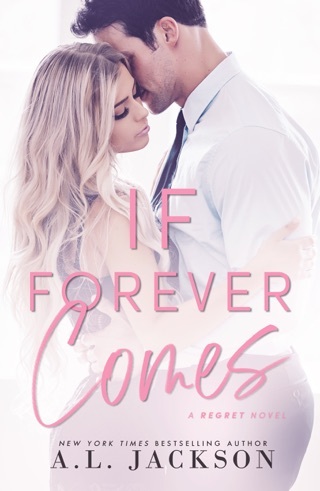 The continuation of Jared and Aly's story was exactly what I hoped for. Their reunion was beautiful and watching them learn to love and trust each other had my heart pitter pattering all over the place. While this didn't quite have the same angsty impact that book 1 did, I loved their story and it's one of my favorites.